Motorcycles are fun and cost efficient for travelling. However, the harsh reality is that motorcyclists are under a high risk for injury each time they travel on the roadways. The key to staying safe while riding your motorcycle is being sensible and refraining from taking too many risks. Keep in mind that speeding and driving under the influence of drugs or alcohol often contributes to a high number of fatal accidents each year. Eliminating these factors will help to decrease the risk of getting into an accident. 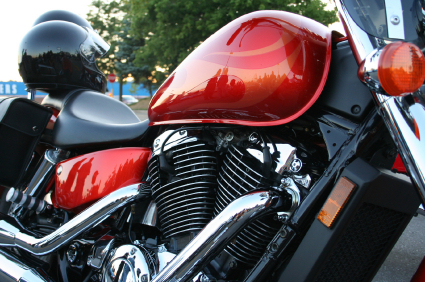 Here are nine motorcycle safety tips you should know. When shopping for a motorcycle, choose the one that is compatible to your own style and your skill level. Avoid buying a motorcycle that is more than you can handle. Also, make sure the bike matches with your body type, as your feet must be able to touch the ground when sitting still. The handlebars should be a comfortable distance away from your body. If you’re planning to ride more often on highways instead of local streets, then choose a bike with a powerful engine. Recent studies have concluded that anti-lock brakes have become a lifesaver for motorcyclists because they allow them to regain steering control during rapid stops. Motorcycles with anti-lock brakes are less likely to be involved in a fatal crash than those without them, especially when traveling on a slippery roads. Try taking a motorcycle safety course each year. These courses teach you better emergency driving skills that could save your life and help you avoid accidents. Completing classes may also give you a discount on your motorcycle insurance or even credit towards the cost of a new bike from a dealership. It isn’t safe to wear a t-shirt, jeans, and flip-flops while riding your motorcycle. The appropriate gear to wear includes a leather jacket, full pants, gloves, and over-the-ankle footwear. Wearing all of this helps you protect yourself from wind chill, bugs, and debris, which could cause a motorcycle accident. Most accidents between automobiles and motorcycles are caused by drivers. Recent studies have found drivers to be at fault at least 60% of the time. It is important for motorcyclists to be aware of all cars on the road at all times, especially those that make sudden lane changes or turns. Try to keep a safe distance from the vehicle in front of you. This will give you ample time to stop or react to any obstruction on the road. Riding a motorcycle in bad weather can be dangerous because the conditions will decrease your visibility and tire traction. This reduces your margin for error and increases the chance of being involved in an accident. If you must ride your bike in inclement weather, try to avoid making any sudden stops and take each turn as smoothly as possible. Riding a motorcycle without a helmet will increase your chances of sustaining a severe head injury in any type of accident. In many motorcycle accidents where the rider is not wearing a helmet, the victim suffers a traumatic brain injury. Experienced riders wear a full-face helmet because it cuts down on wind resistance and fatigue, as well as providing safety. It is important to replace your helmet every five years to maintain a high level of protection for your head. Most studies have shown that motorcycles have less contact with the ground than other motor vehicles. This means they are more likely to be involved in accidents caused by road hazards. Dangers include potholes, loose gravel, piles of wet or dry leaves, and bumps in the road. If you cannot avoid any contact with these items, slow down as much as possible without steering too much. All road hazards should be approached with extreme caution. Prior to getting on your motorcycle, do an extensive inspection on all of the parts to make sure they are working properly. Inspect the tires to see if they’re properly inflated and check the chains, shaft, and brakes. Also make sure the lights, the horn, and the signals are in working order. If you need an experienced accident attorney after a Motorcycle Wreck, contact Attorney Dean Boyd today. You can call us at 806.242.3333 or Contact Us by email to learn more about our Services. You can also visit our office at 4423 SW 45th Ave in Amarillo, Texas or 5012 50th St #103 in Lubbock, Texas for more information about how we can help you.